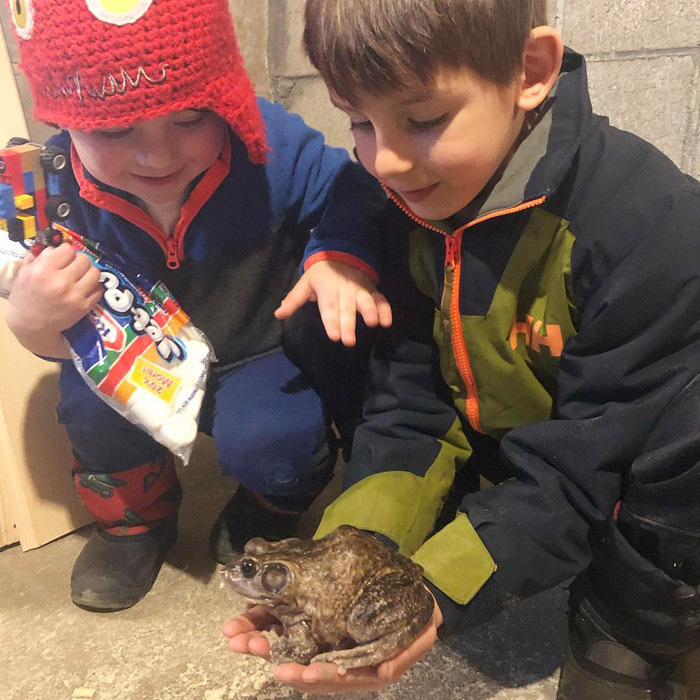 Chronicle News Editor Gordon Woodworth writes: Bob the Bullfrog has re-emerged from under the basement sump pump at the Crossroads Country Store in Chestertown. “We had seen him, but on Saturday he came out and was hopping around the basement,” said Nathan West, whose family owns the business. The 11-year-old bullfrog hibernates in the mud underneath the sump pump near the Crossroads’ bait tanks, eating minnows that float by. Last winter, he emerged in mid-February during a spring-like 70-degree day. This year, it’s early April. “Punxsutawney has Phil, and we have Bob the Bullfrog,” said Nathan. Named by Nathan’s nephew, Bob was one of a group of frogs that some local kids caught and brought in to sell for bait.